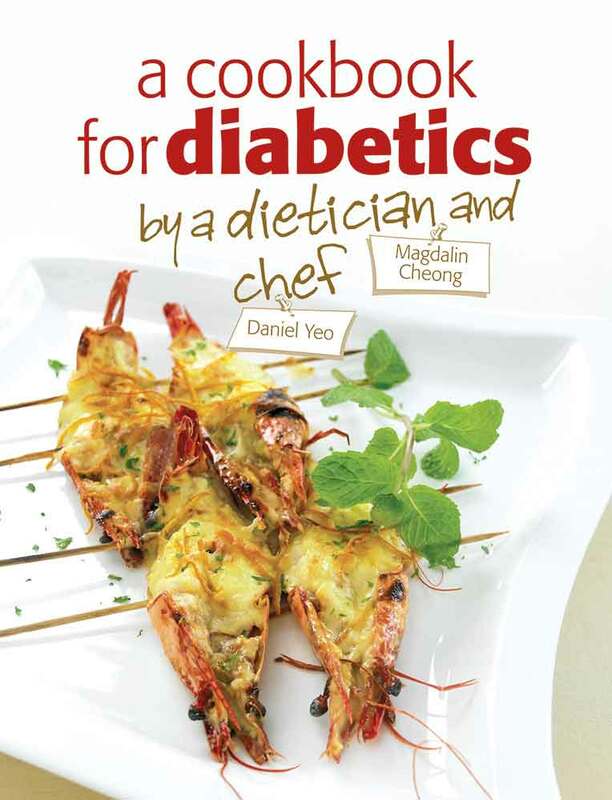 A refreshing orange dessert that's suitable for everyone in the family, including diabetics. ​is healthy and fuss-free to prepare. This easy-to-prepare, refreshing dessert will surely cleanse your palate. 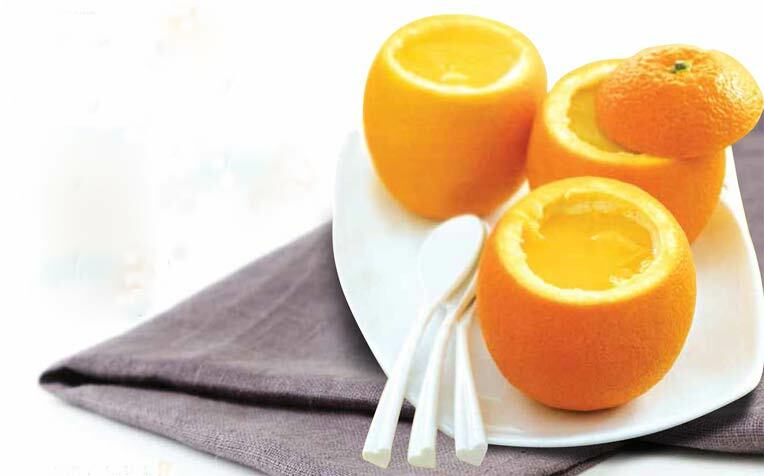 Slice off the top of the oranges and set aside to be used as lids. Scoop out the pulp and set orange “cups” aside. Squeeze pulp to extract about 150ml juice, then strain and set aside. Crack egg into a mixing bowl and add maltitol. Beat until creamy, then add orange juice and zest and mix well. Add yoghurt and diced orange and mix well. Set aside. Mix gelatine with hot water until completely dissolved. Pour into orange cups and leave aside to set and cool. Prepare topping. Combine ingredients in a pot and bring to the boil. Reduce heat to low and stir constantly until jelly powder dissolves completely. Remove from heat and set aside to cool. Pour topping into the orange cups, then refrigerate and leave to set for 3-4 hours before serving.